1.4 “product/s” refers to any materials, kits or other products or services purchased from us. 1.5 We provide a range of services and products including Body Casting Kits, Body Casting Training and Consultation from our Edinburgh studio and at various locations throughout the UK. 2.1 All copyright, trade marks, design rights, patents and other intellectual property rights (registered and unregistered) in and on our website, (including that provided or transmitted by a third party or service, including but not limited to Google, Facebook & Instagram), in promotional materials, packaging, receipts and all other associated literature, belong to The Edinburgh Casting Studio. 2.2 The Edinburgh Casting Studio reserves all of its rights. Nothing in the Terms grants you a right or licence to use any trade mark, design right or copyright owned or controlled by us unless expressly provided in writing. 3.1 The Edinburgh Casting Studio does not accept liability for any damage to property of possession, loss of earnings, lost profits, or incidental, indirect, special or consequential damages, arising out of your use or inability to use our products, even if we have been advised of the possibility of such damagers. This applies to all products and services rendered by The Edinburgh Casting Studio, in person or otherwise. 3.2 We always recommend conducting a test (or patch test) when using a product for the first time. The customer must take responsibility for protecting clothing, work area and surfaces to avoid damage from using any product, and follow safety precautions listed on materials, kit guide books and all associated literature or online guidance. Our products are not toys, and must be used by adults only. Children should be supervised at all times by an adult. 4.1 All products are listed in prices for GBP £ Sterling, and include UK VAT. We reserve the right to change the prices listed for products or postage at anytime. Promotions and discounts are limited to stock availability to each item. 4.2 Any quoted prices by email or telephone are valid for 24 hours. 5.1.1 We can only accept orders from customers 18 years of age or older. Once you have paid for items via the checkout process, your will receive a confirmation email. From the point of payment, a contract exists between The Edinburgh Casting Studio and the purchaser. Our Terms and Conditions are accessible online at the bottom of each page and we assume you agree to be bound by these at point of purchase. Until the item is shipped to the customer, either party may decline to proceed with the order and request a refund if the decision to not proceed is taken. 5.1.2 If an error occurs relating to stock or pricing, The Edinburgh Casting Studio are not obliged to supply the goods at the price stated and will instead cancel the order and refund in full or recommend alternative items. All items listed online are subject to stock availability. During busy periods (such as but not limited to: Christmas, Mothers/Fathers Day), The Edinburgh Casting Studio may sell out of an item and are not obliged to fulfil the order, and will instead offer alternative items or a refund. 5.2.1 Delivery services are offered as you checkout and estimates of delivery dates are provided on the delivery page. The delivery costs are based on the total approximate packed weight and/or volume of the items in your basket. Delivery dates are approximate and not guaranteed. If you need your goods for a tight deadline please choose Express delivery if offered. Express delivery is offered at the discretion of The Edinburgh Casting Studio and may not always be available. 5.2.2 Free delivery promotions may be advertised at our sole discretion and may be withdrawn at any time without notice. Any promotions will be subject to promotional Terms and Conditions, and will be published on the Delivery Page and will form part of the main terms displayed here. 5.2.3 Allow more time at peak periods (eg Christmas) for deliveries. You will be alerted to any known delays in dispatch time, at the time of purchase, or as soon as possible thereafter. For items sent outside the UK, any customs duties applicable, local/state taxes, or other import duties are the sole responsibility of the buyer and not payable by The Edinburgh Casting Studio. Please note we are not liable for any losses experienced due to an order arriving after the estimated delivery date. 5.2.4 If you have not received your item, a claim of non-receipt must be made by email within 28 days of noted dispatch date. 5.3.1 You, the buyer, are responsible for any VAT, tariff, duty, taxes, handling fees, customs clearance charges, etc. required by your country for importing consumer goods. We do not collect this beforehand, and cannot give you an estimate of the cost - charges vary around the world. 5.3.2 It is your full responsibility to verify the customs, duties charges, and procedures in your country prior to placing your order. If you are unfamiliar with customs fees and charges, please speak to your local postal or customs office for more information. 5.3.3 If customs fees and charges are refused at the time of delivery, your order will be returned and you will not receive a refund for shipment costs. 5.4.1 In the event of attempted delivery of an item the courier, a card will be left if the courier was unable to reach you. It is your responsibility as the customer to make contact with the courier to rearrange your delivery within the time stated on the calling card. Contact must be made at the earliest opportunity to avoid the parcel being returned to us unclaimed as this may result in redelivery charges being applied to your order. 5.4.2 Incorrect delivery details may lead to delays in the delivery of your goods, so before placing your order, please ensure that you have included the full Delivery address details, including accurate delivery Country and Postcode of the intended recipient and your daytime contact telephone number in the event that any delivery problems are encountered. If you give us an incorrect address/postcode or an incomplete address and the parcel goes missing, The Edinburgh Casting Studio will not be held responsible. We are required to ship your item to the address exactly as intended, so this must be correct at the time of ordering. 5.5.1 To request a refund, please contact us at hello@edinburghcasting.com before your item has been dispatched. If you are able to contact us before dispatch, your item will be refunded in full. Refunds are made at the discretion of The Edinburgh Casting Studio, to the payment method shown on purchase receipt. 5.5.2 In the case that your order has been dispatched and you have received your item but have changed your mind, you can cancel your order within 14 days of receiving your item. In this case please contact The Edinburgh Casting Studio where you will be advised on the return process. Any goods to be returned must be in saleable condition, and unopened. If you have contacted us for a return, we must receive the item within 14 days. Items that are returned within this period, unopened and in fully saleable condition are eligible for a full refund of original product costs. 5.5.3 The buyer must cover cost of return postage charges, and is responsible for keeping proof of postage. Using a recorded delivery service is recommended, for the buyer’s protection. The buyer has the duty of reasonable care when returning goods to ensure they are repackaged well and will arrive in a re-saleable condition. If the items are returned from the buyer and have been damaged in this return, but can be repackaged/relabelled and resold, a repacking fee will be charged. 5.5.4 If a discounted item is returned for refund, the price charged on the customer’s invoice will be processed. All items pass a thorough quality check before dispatch, to ensure satisfaction. If your item arrives damaged, please notify The Edinburgh Casting Studio by 2pm the following day, so we can raise a claim with our courier, and arrange replacements where necessary. The Edinburgh Casting Studio may ask for digital photographs of your item so they can understand any damage/fault/defect. If an incorrect item was sent, return postage will be refunded and a replacement sent. – Photo of damaged/faulty/defective goods (where applicable). Should any problems arise with your products as a result of use, photographs are essential in order to assist you. 6.1.1. I certify that I am the rights holder for all image, video and text submissions (hereafter referred to as ‘Digital Content’) to The Edinburgh Casting Studio, or that I have the express permission of the rights holder to submit this Digital Content to The Edinburgh Casting Studio for publishing on The Edinburgh Casting Studio web properties. I understand that the Digital Content I am submitting may be published to The Edinburgh Casting Studio web properties including, but not limited to, YouTube, EdinburghCasting.com, Twitter, Facebook, and any other avenues of promotion, as determined by The Edinburgh Casting Studio according to the terms of this agreement, which I have read and agree to. Published content such as reviews may be curated from a number of sources and platforms including but not limited to YouTube, Facebook, Twitter and Google. I understand that submission of my Digital Content to The Edinburgh Casting Studio is at will and I agree that this license may only be terminated by mutual agreement between all the parties. 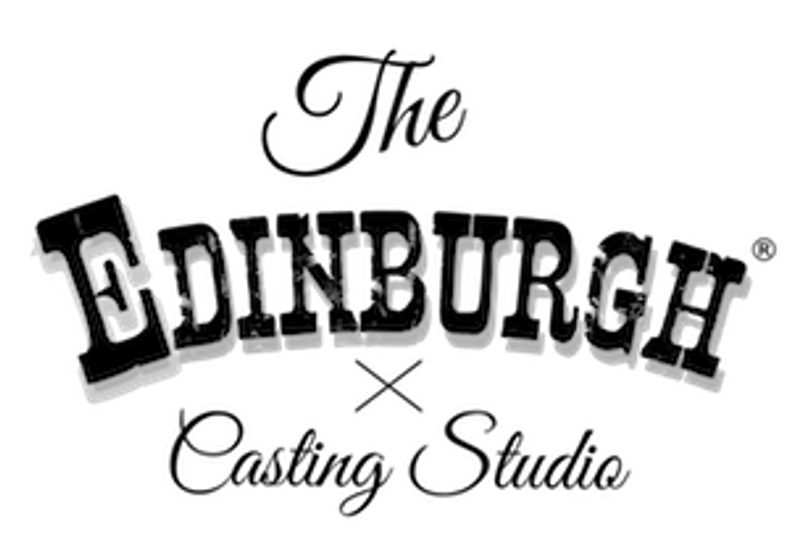 I certify that I am the rights holder, capable of granting an exclusive license to The Edinburgh Casting Studio over my content submitted hereto, and thereby agree to grant an exclusive license for The Edinburgh Casting Studio use, at The Edinburgh Casting Studio discretion. The Edinburgh Casting Studio may assign such licensed rights at will. I further undertake not to enter any future agreements over my content with any third parties, as required by the exclusivity of this agreement and will forward any communications regarding my content to The Edinburgh Casting Studio, as the new license holder. 7.1 These terms do not affect your statutory rights. 8.1 If you have subscribed to our newsletter, are a customer or are a partner or business we have communicated with; you have the option to have your data removed from our database. 8.2 If you ask for your data to be removed we will delete your data within 28 days of your contacting us. In this time will inform you what this means for you and your data with The Edinburgh Casting Studio. 8.3 If you would like your data in a portable or digital format, we will request a verification of your identity and upon confirmation of that data, will send that data in a readable CSV format and record this request of data in an audit log. 8.4 In the event of a data breach this will be recorded and preventative measures will be taken within 72 hours. 8.5 If you hold an account with The Edinburgh Casting Studio via our website shop.edinburghcasting.com, you have the ability to update or delete your information and account at any time via the website. 8.6 When you complete an order as a guest the information that is held by The Edinburgh Casting Studio is held for order purposes and tax compliance purposes only. 8.7 We do not collect any individual personal data when you visit our website. 8.8 The information that we hold for customers is shared with a third party fulfilment centre only in order to fulfil customer orders. The data is used for distribution of goods only, and is not retained by the third party once orders have been dispatched. 8.9 Upon submission of customer results images, we will ask if the images can be used by The Edinburgh Casting Studio’s website or social media platforms. You can choose whether and how your images are used or distributed.